The first thing people see when they discover your page on social media is your profile. That's why you need to make it memorable. 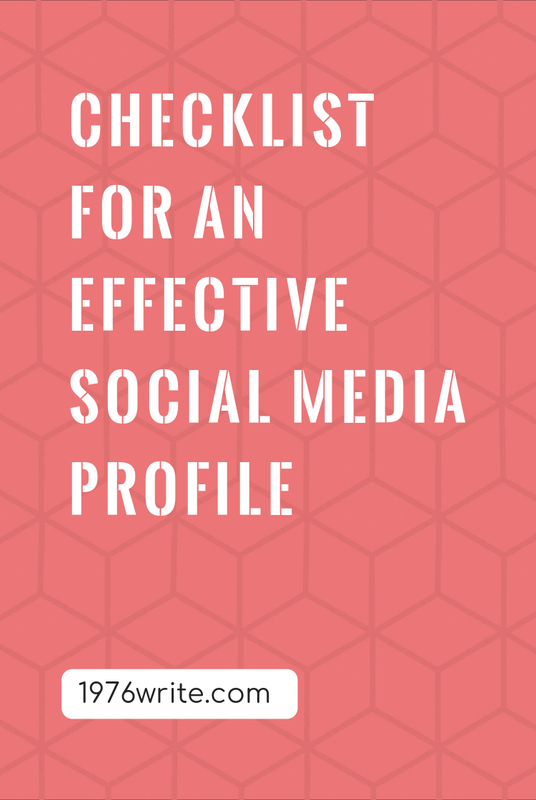 Here are a list of 12 points to make your profile stand-out from the crowd. 1. Look at the profiles of other people in your niche, and learn from them. 2. Make your impression good first-time around, show people what you stand for. 3. Get the basics right, and make your username the same as your blog, let your followers know who you are, and include links from your profile, to and from your blog. 4. Create the right tone on each platform, and use this across the board on all of your platforms. 5. Show people your credibility through books you've written, or awards you've won. 6. Let your personality shine through, and show people your life outside of work, make things light and interesting. 7. Pick a good picture of yourself, and give your profile a human face. 8. Make sure you brand all of your social media platforms, most platforms allow you to do this. 9. Employ keywords and phrases, avoid lengthy dull descriptions, and focusing on your blog values and credentials. 10. Make your profile as interesting as possible, avoid ranting, and a long boring detailed history of your blog or company. 11. 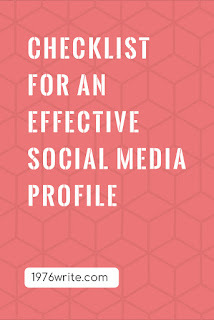 Update your profile regularly, include your successes, but make sure you post regular updates. 12. Make your profile a place for people to connect with you. "and whatsoever ye do, do it heartily, as to the Lord, and not unto men". Bringing you advice, tools and inspiration to be more inventive, curious, and fruitful as a writer. This blog contains affiliate links, this means that if you purchase through these links you are supporting 1976write and we thank you for that. All content on this site is © Helen Bolam, and may not be reblogged or republished without consent . Powered by Blogger.